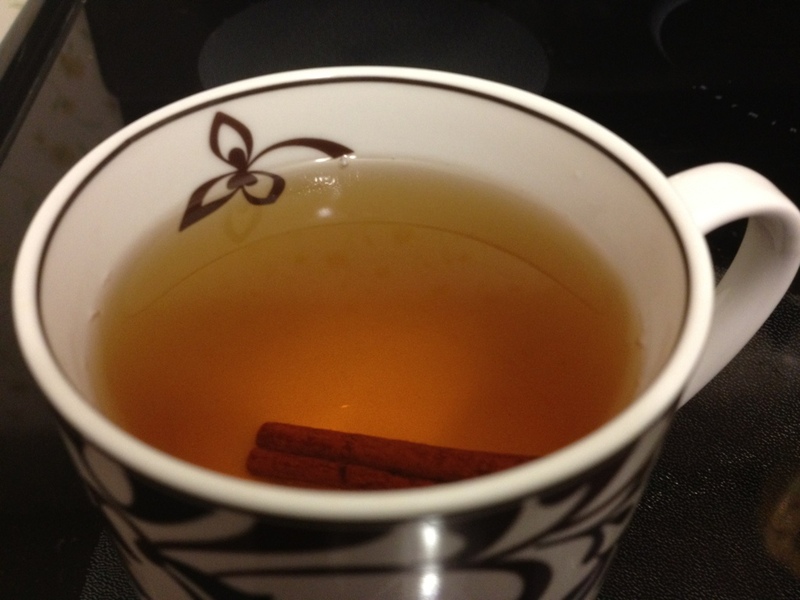 Hot apple cider with a cinnamon stick? Don’t mind if I do! 2. I’m always impressed with the high quality of decadent food you can get at a reasonable price for brunch. Park Bruges price fix brunch includes entree, side, and cocktail. Oh yum. 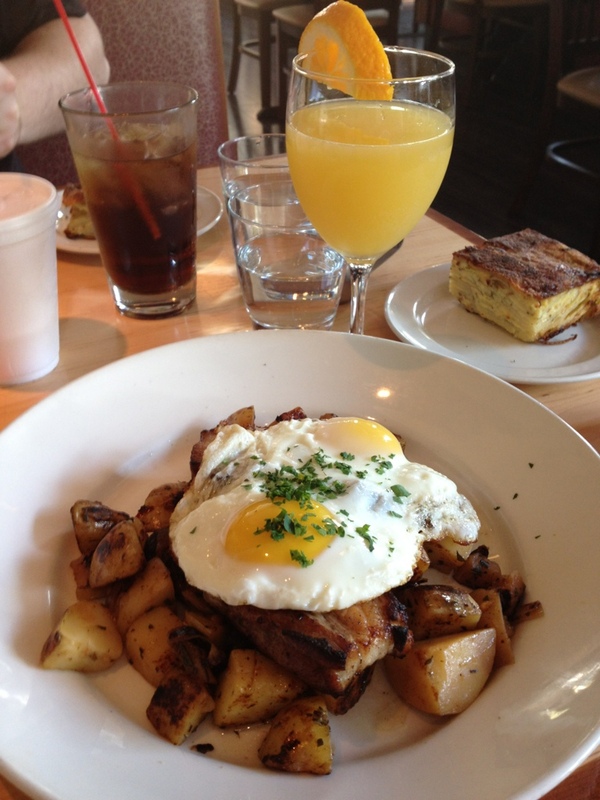 Pork belly over roasted apples and potatoes, topped with two eggs, potato souffle on the side, and a mimosa. 3. Farewell to Schenley Plaza Kids Days for the season. 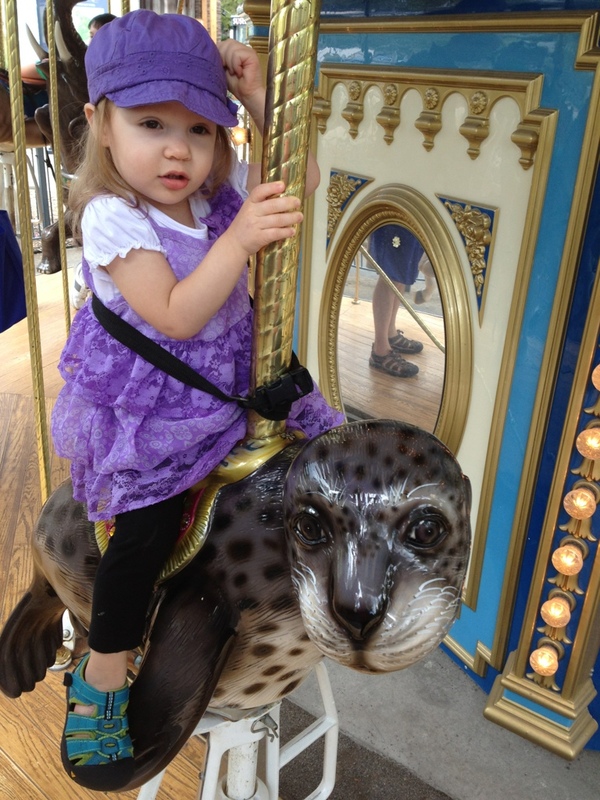 Today we saw a puppet show, made a short stop at the library to run around the kids’ section, and rode the carousel FOUR times until Mommy got motion sick and said it was time to go. Me: No. You’re a baby. Babies don’t drink coffee. No exaggeration, this is what she literally said. Crazy kid. I love going to Giant Eagle during the Steelers games. Sweet sweet silence. I could use some chili and cornbread! In the past I had chickened out of C25k because keeping track of all the timing was too cumbersome. Then my friend Regina introduced me to the C-2-5k Free app, and I had NO excuse to not do it. I’m almost done with week 4 of this 8 week program, and I’m glad to say that joy of running is returning to me. With all this jogging, it was high time to update my playlist. This is what’s currently on my running list, but I’m always looking for new tunes. PLEASE feel free to suggest your favorite workout songs!! I’m perpetually seeking new additions to this playlist. Your conversation with Beez made me lol. New workout music for me is Lonely Boys by the Black Keys and We Are Young by Fun. I’m sure I’ve told you my old favorites a bajillion times, but in my opinion no workout playlist is complete without I Wanna Be Sedated. I’ve got Lonely Boy on there, but I should add some Fun. I’ve been listening to their album on Spotify a lot lately, it’s really good. …weird collection but I get bored easily 🙂 These are a just a few from the top of my head/op of the list, have several hundred on the list. You can come over and grab the tunes some time if you want!